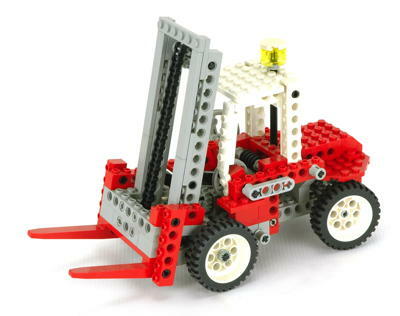 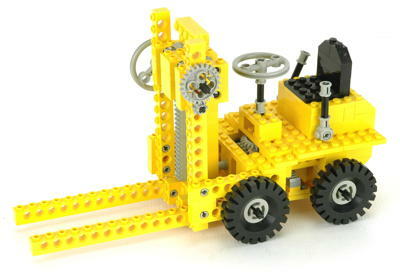 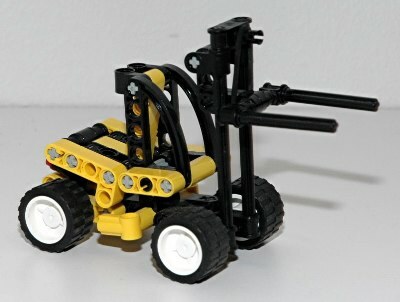 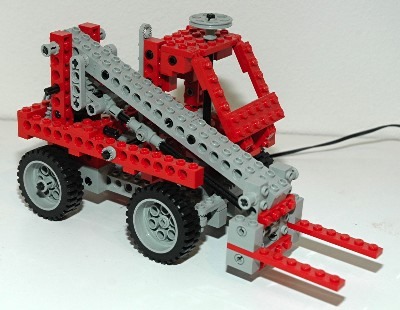 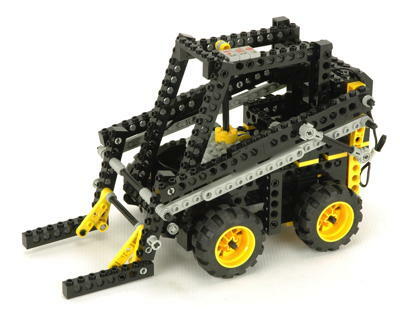 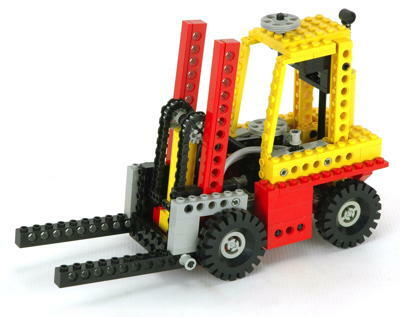 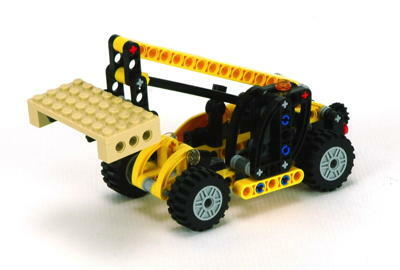 There have been forklifts from the very beginning of Technic. 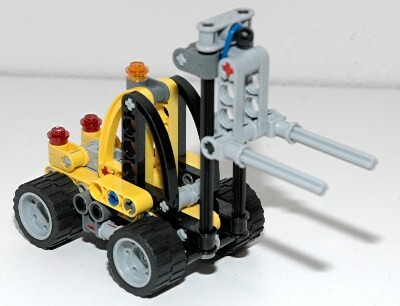 These models represent a wide variety of sizes, and also a wide variety of lift mechanisms. 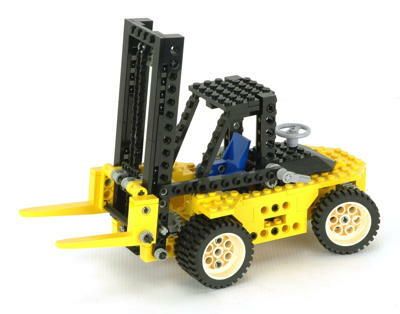 There are rack lifts, chain lifts, pneumatic lifts, motorized lifts, scissors lifts, linear actuator lifts, and even rubber band lifts. 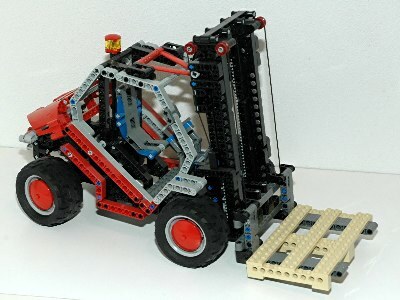 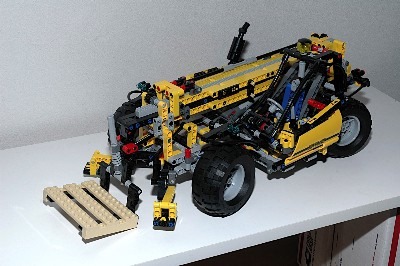 8416 is the biggest and most detailed standard forklift, while 8295 is the biggest telehandler, but I think the 8082 Universal Set is my favorite. 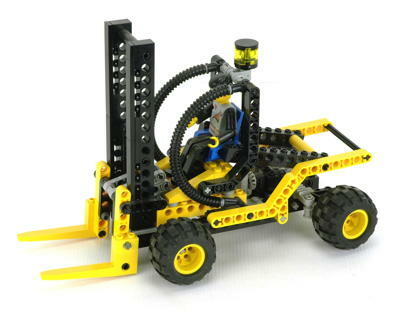 The mechanism that allows a single motor to shift from driving, to steering, to lifting is simply wonderful.